Mistakes during a divorce or child custody case can cost you money, time, and emotional energy. To help your case go smoothly, we recommend hiring an experienced divorce attorney. They will be able to point out some of the common pitfalls and misconceptions people encounter when filing for divorce. In this blog post, we will go over the four most common mistakes clients make during the divorce and child custody process. Getting divorced is more complicated than just filing a few papers. 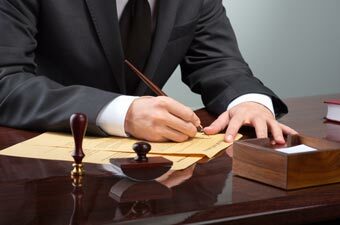 In fact, there are specific court rules, procedures, and deadlines you’ll have t o follow to make your divorce final. Even with simple divorce cases where there are no children involved, there are still assets that will need to be divided equally under Michigan law. If you try to represent yourself during divorce proceedings, you’ll become quickly overwhelmed with paperwork and procedures. Hiring a family law attorney will prevent your case from being dismissed for improperly filled out paperwork or missed deadlines. An attorney will also have your best interests in mind so your rights aren’t compromised. Even if you don’t have children to determine custody, you shouldn’t expect your case to get resolved as quickly as you would like. If you don’t have underage children, the fastest you can expect your divorce to take is two months. Even this timeframe is overly optimistic because it assumes both sides will be fair, honest, and willing to work with each other. Hard feelings during a divorce usually prevent this. If you have children, the quickest your divorce could be settled is 6 months. Again, this is assuming you and your spouse are agreeable on all issues. We recommend hiring a child custody lawyer to represent your case. The divorce process is often longer than clients expect. While the last thing you might want to do is meet face-to-face with your spouse, mediation can be helpful for reaching agreements outside the courtroom. Mediation during divorce saves you the cost of a long drawn-out trial. If one of the reasons for divorce is abuse, ask your attorney if it’s possible to do mediation in separate rooms with the mediator acting as the go-between. When judgments are passed down in the court of law, they can make it seem like there is a clear “winner” and “loser”. If your spouse thinks that they are losing out, they might try to obstruct the ruling as much as they can to cause trouble. On the other hand, people who come to an agreement themselves are more likely to abide by that agreement. It’s easy to get emotional during a divorce or child custody case. After all, you’d like to think you’ll still be a part of your child’s life after the divorce or that you’ll be able to support them on your own. Likewise, you may get emotional about splitting assets you worked so hard to build. These worries can grow and cause people to act emotionally in ways they wouldn’t otherwise. It’s important you remember that judges care about facts, not emotions. An experienced divorce lawyer will be able to help you organize the facts of your case in a way that will produce the best outcome for you. The Lansing divorce attorneys at Foster & Harmon, P.C. are dedicated to helping clients avoid common mistakes that could cost them the outcome of their trials. 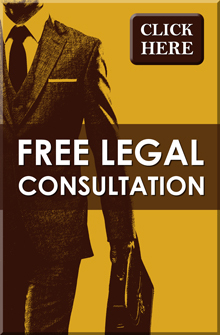 If you are interested in scheduling a free legal consultation at our law firm, give us a call at (517) 337-4600.